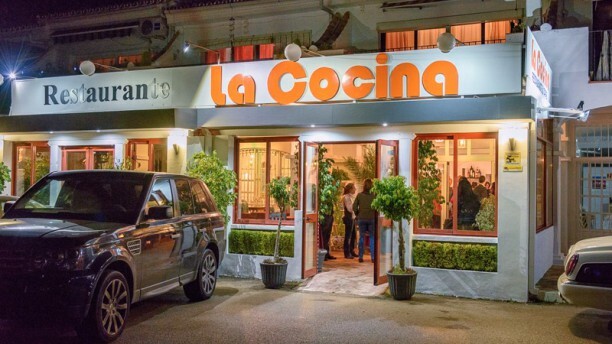 Great vibe in the new location of La Cocina...amazingly attentive staff and incredible cuisine. The Sangria is probably the best I’ve ever had and I found that the food experience was so unique...I will certainly return!! Wonderful experience with all the best of dining out. Warm service, fair prices and delicious food! Highly recommend! Excellent food, service quick and friendly. Well worth a visit. Great evening with friends, food and service excellent, go! Wow, this is a fabulous, the service, the ambiance and food were exceptional. An excellent restaurant that deserves all the excellent reviews already posted. The restaurant has plenty of space and tables. Air con was perfect on the stuffy night. The choice of starters, salads and mains is quite broad and suitable food for all tastes, even our fussy vegetarian daughter had plenty to choose from. The Diana steak cooked at your table adds to the experience. Definitely much higher standard than the Elbe Hotel ‘5 srar’ Restaurants.. If staying at the Elba, just turn left along the beach path for about 200m, up the steps to the road and over via the footbridge. A pleasant 15 minute stroll. Excellent food, very nice inside, an unexpected gem next to the highway. Traditional spanish restaurant with good food, wine and service. Had good food and wine from nice stuff. Delicious food servered by wonderfully friendly staff. They made us feel really welcome and were so good with our children. Will definitely visit again. We went at 7.30 so was the only ones in, but service and food was great ???????? Don't be surprised about the outside appearance of this restaurant. The dinner was really delicious and the service friendly. We choose three different starters and also different main courses and everything was of very good quality and tasty. In deed we would revisit this restaurant again and recommend it!